During my working hours, I will ensure to respond to all support requests within 24 hours. Take comfort in the fact that your request will be addressed with immediate attention. 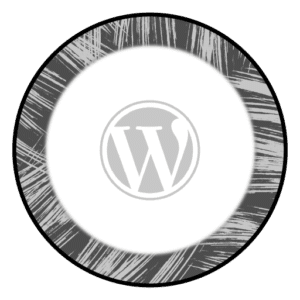 You will find, on your WordPress dashboard, a Help button you can use anytime to receive technical support, in case you need it, right inside WordPress. A series of interactive walkthroughs for the most common as well as advanced tasks will be there, always available, 24/7. Your website will be under constant control. Every time the website will go down for whatever reason (hosting problem, misconfigured plugin, external attacks, etc.) I will be there to take care of it, in order to guarantee the maximum uptime percentage possible. At the same time, a daily security scan will be in place, to ensure your website is malware and virus free. The worst thing about malware is that it could be on your website for months without you even noticing it. You will be relieved in knowing that a daily security scan will be in place, to ensure your website is malware and virus free. You can directly phone me to request a quick fix or tweak. During business hours, and only for support requests. *can vary based on your timezone. An automatic scan will go through your entire website structure looking for broken or misconfigured links. You will receive a notification with the list of broken links, and their location on the website. We can schedule a 45min phone call or a skype video conference, if you have any questions about the website or to discuss future plans and improvements. I will be all yours for 45 minutes. Maintaining and updating an eCommerce website requires a level of attention much higher than a regular internet site. I will be there to make sure everything is always working correctly. You will receive a notification if a specific order in your store requires special attention. Don’t worry anymore about plugin updates breaking your eCommerce, I will take care of testing every new plugin release on a staging website before pushing the changes to the live website. Peace of mind knowing that your eCommerce will be safe and always up to date.